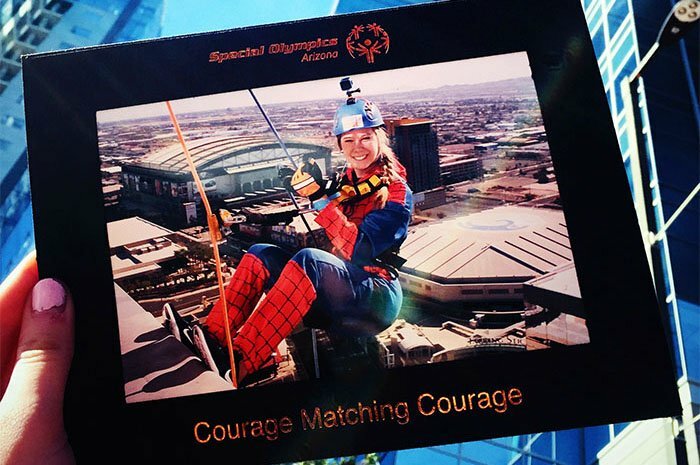 GCU student Sarah Shea rappelled down Phoenix’s CityScape building Saturday dressed in a Spider-Man costume in honor of her best friend, Hannah Hall, who loves Spidey. 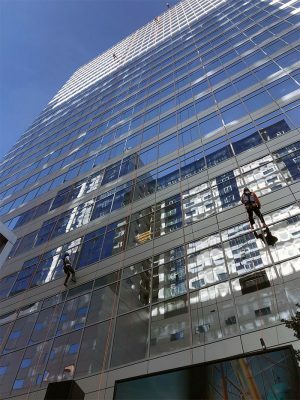 Sarah Shea is terrified of heights, but it didn’t stop her from rappelling down the 27 stories of steel and glass that make up the CityScape building, one of the tallest structures in downtown Phoenix. Shea’s descent was part of Over the Edge, a fundraiser for Special Olympics Arizona. Shea, a GCU freshman special education major from Castle Rock, Colo., joined more than 200 others Saturday in Over the Edge, a rappelling event that raised funds for Special Olympics Arizona. Participants gathered donations of at least $1,000 each through pledges. That amount supports two Special Olympians for a year. She was able to raise $1,011 for the nonprofit, the largest sports organization for people with intellectual disabilities. 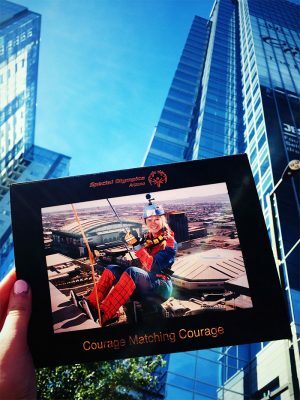 “It took me about eight minutes to get down,” said Shea, who wore some special attire for her rappel – a Spider-Man costume – in honor of her friends, Hannah Hall, who has Down Syndrome, and Meghan Bailey, who has cerebral palsy. Hall’s favorite superhero is Spider-Man, and when she came to Phoenix over the weekend with her mom, Shelly, to watch Shea’s descent, she also wore her Spider-Man costume. Shea (top left) scaled down 27 stories. Shea met Hall and Bailey in third grade, when she was the new kid in school and was seated next to them. They have been friends ever since. 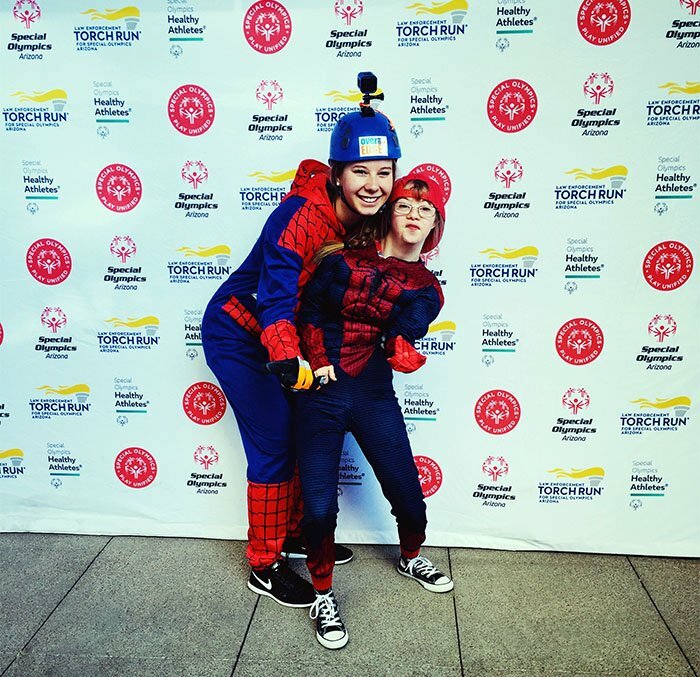 Shea and Hall have competed together in Special Olympics Colorado – the organization pairs an athlete partner, such as Shea, with a Special Olympian – including in the annual Polar Plunge. ● For more on Shea’s dedication to special education, click here.